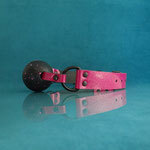 If you are looking for a collar for a more vanilla setting, our ChOker collection might be just perfect! 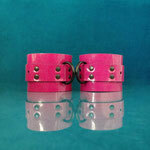 Handmade from genuine (patent) leather and available in many different colours. 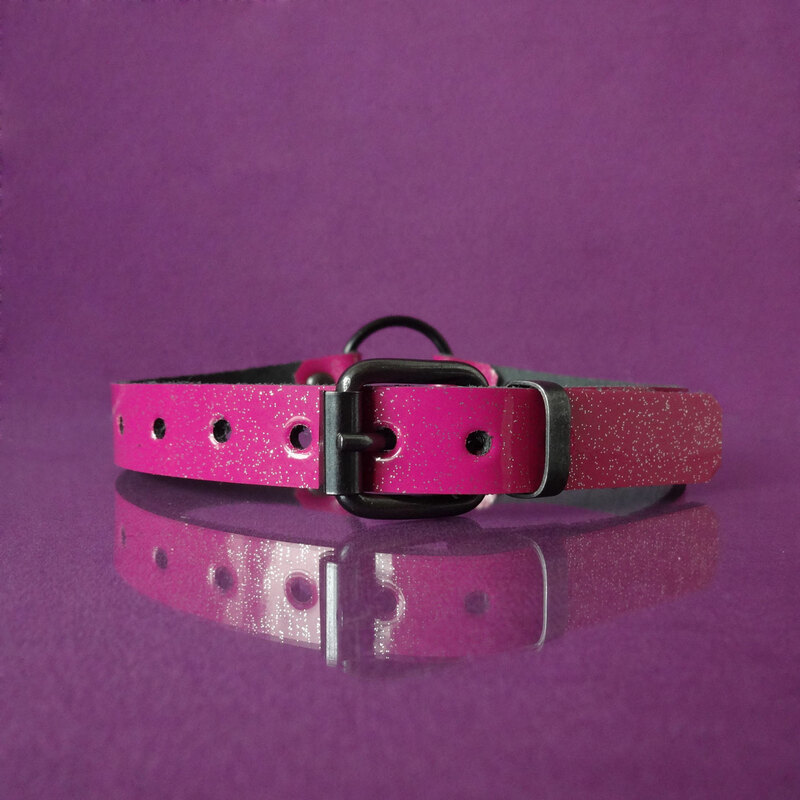 This awesome pink patent leather choker with glitter is a real eye catcher! 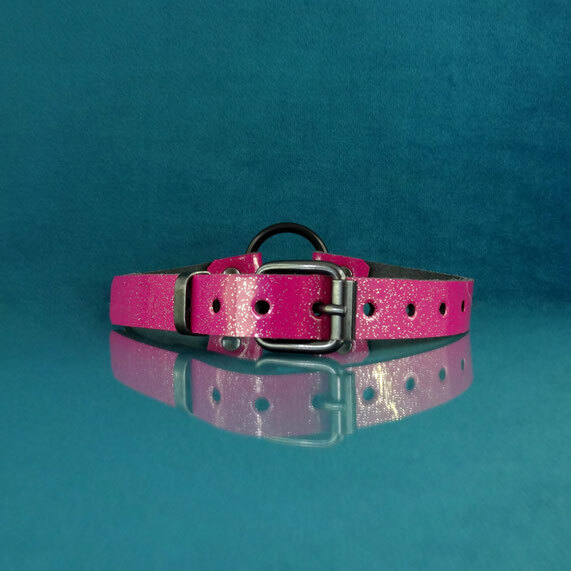 Adjustable from 30 to 39 cm / 12 to 15.5 inch, with enough space for extra holes..
All our chokers have a limited availability, so if you see the colour you want, get it before it is gone, because we might never make a choker in that same colour again!